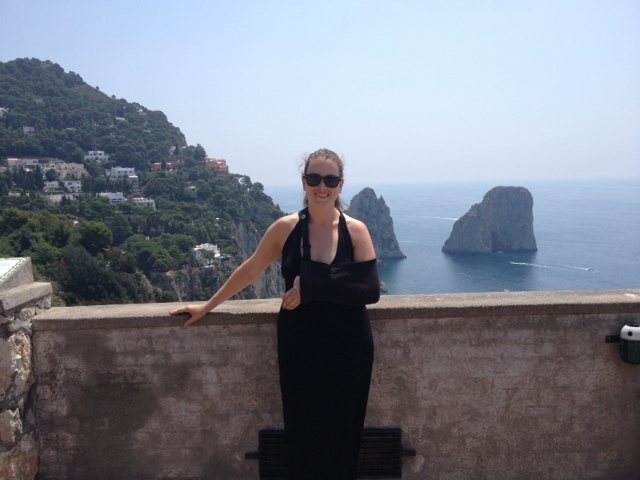 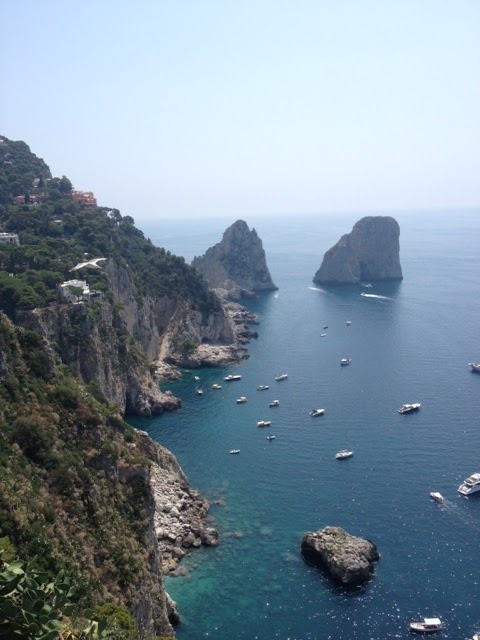 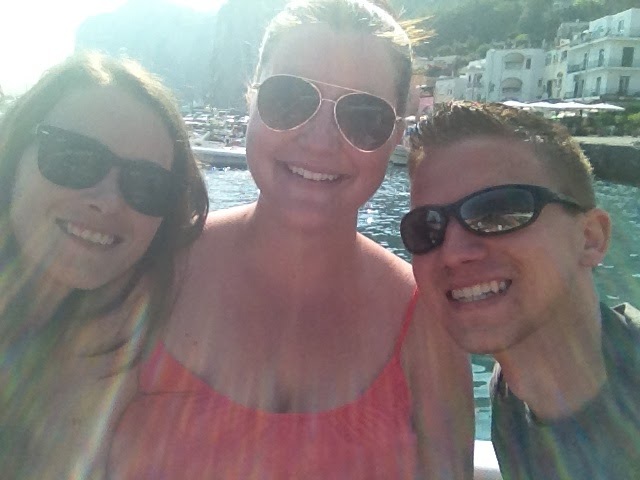 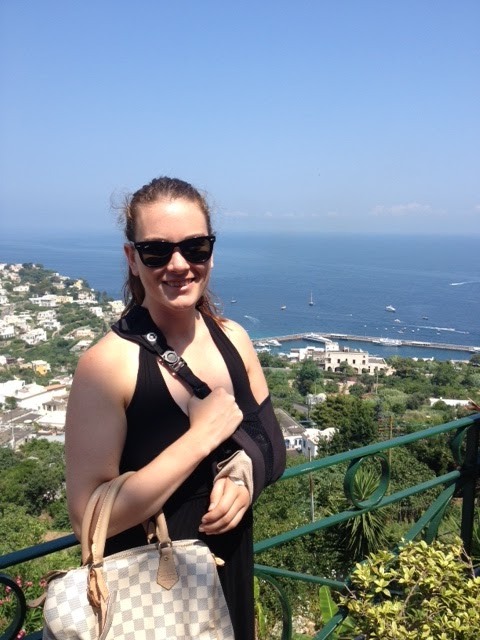 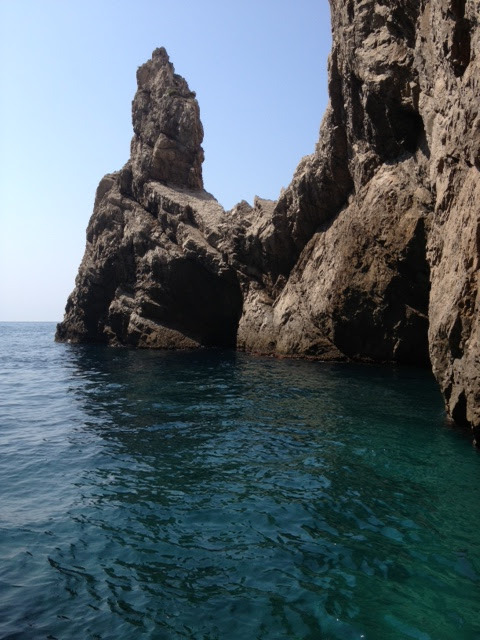 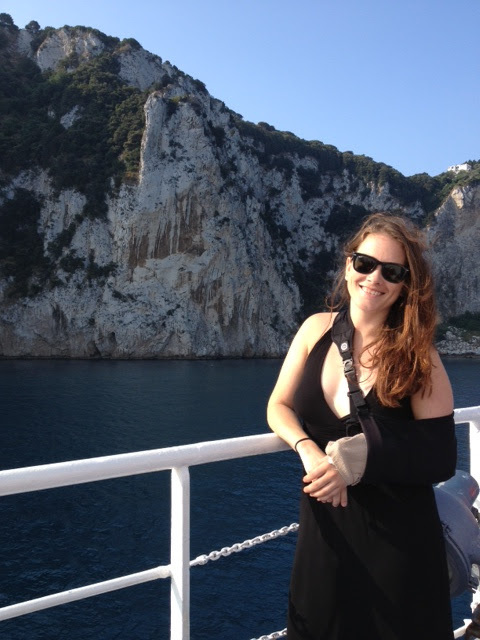 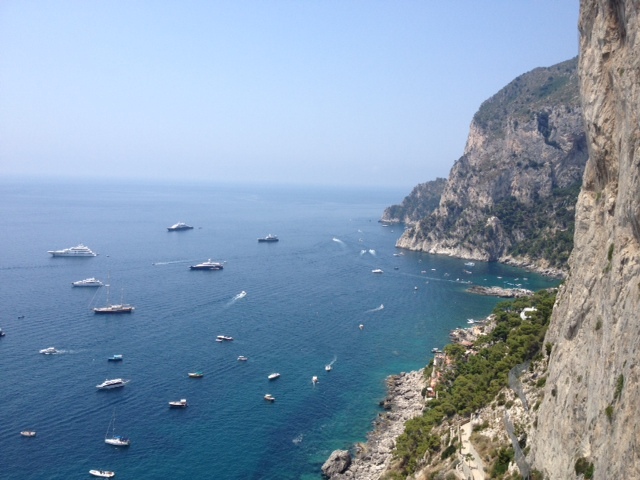 One of my favorite days this summer ever was spent in Capri. 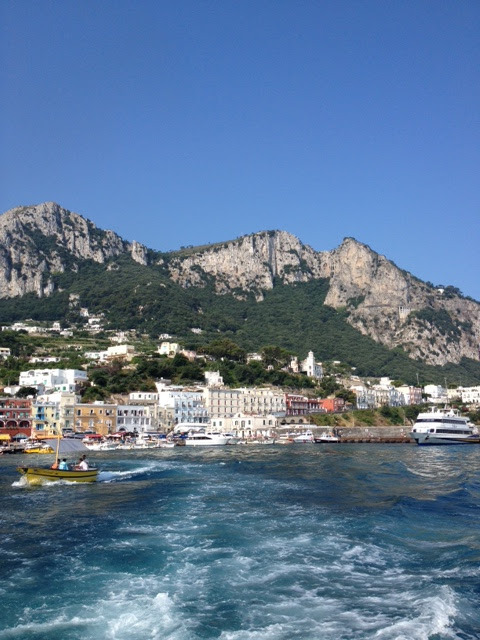 Only a 1 hour, 11 euro, ferry ride away from Naples, this trip is a MUST. 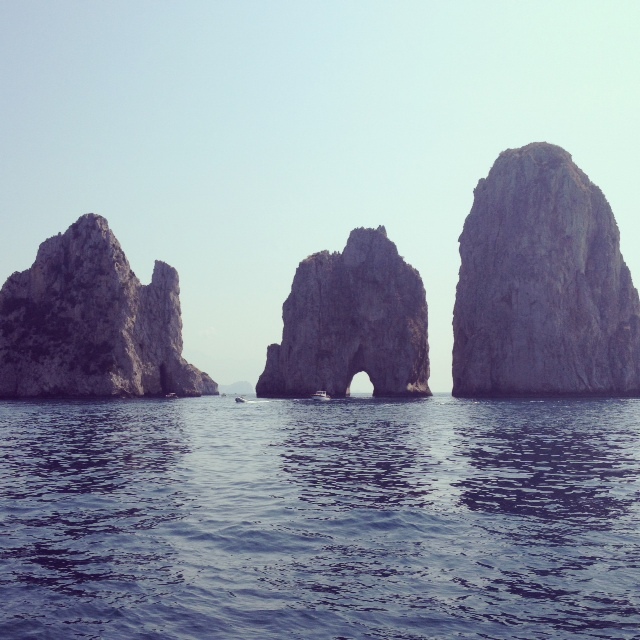 From the moment I caught a glimpse of the island from the boat, I was in love. 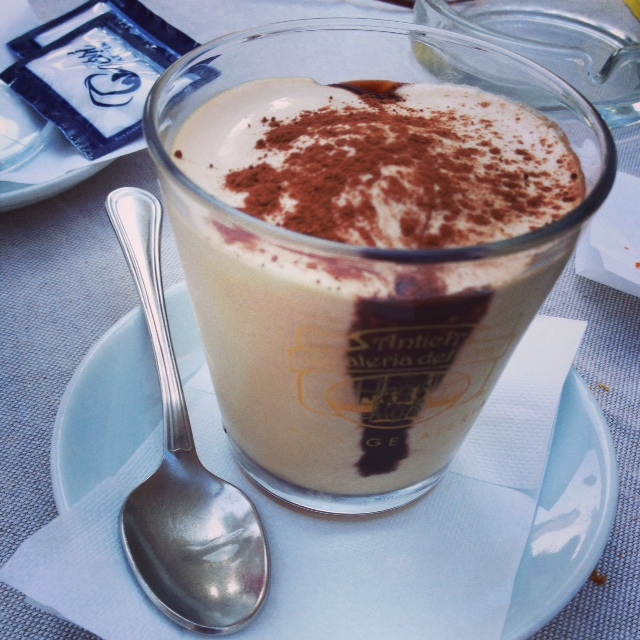 An early morning ferry ride in the middle of an Italian summer called for a cafe freddo (cold coffee) immediately upon arrival. 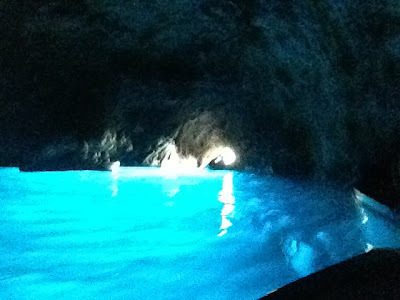 The next to-do: a visit to the blue grotto or "grotta azzura". 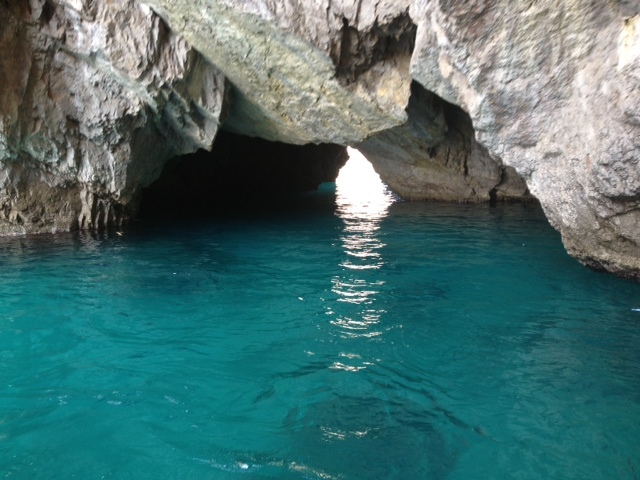 After we left the cave, we continued our little boat ride around the island, making sure to dodge all the private yachts.....must be nice. 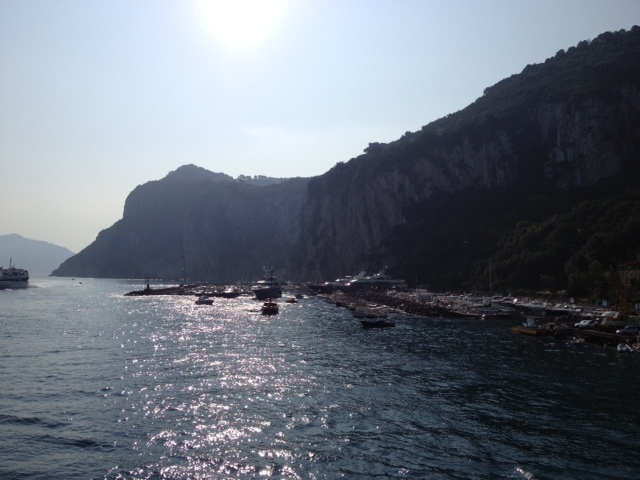 After we were back on dry land, we bee-lined it towards the funiculare so we could see the Augustine Gardens, which had by-far the best view on the island. 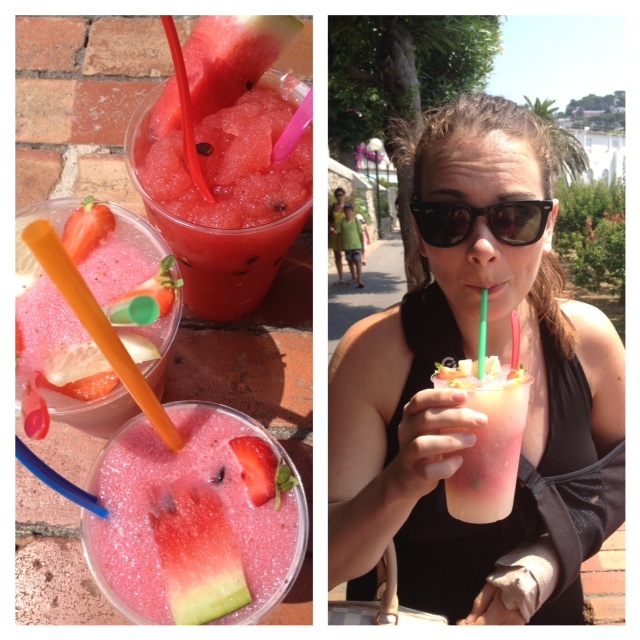 We worked up quite a thirst (if you couldn't tell it was an extremely hot day by my hair in the previous photos) so we opted for some granitas. 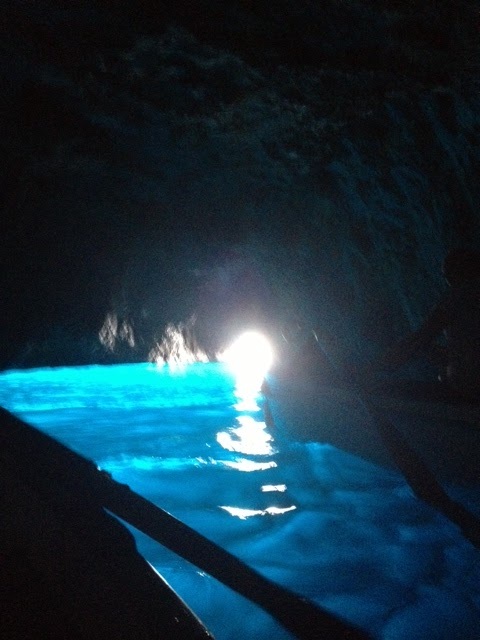 The next stop was for my friend, Nick. 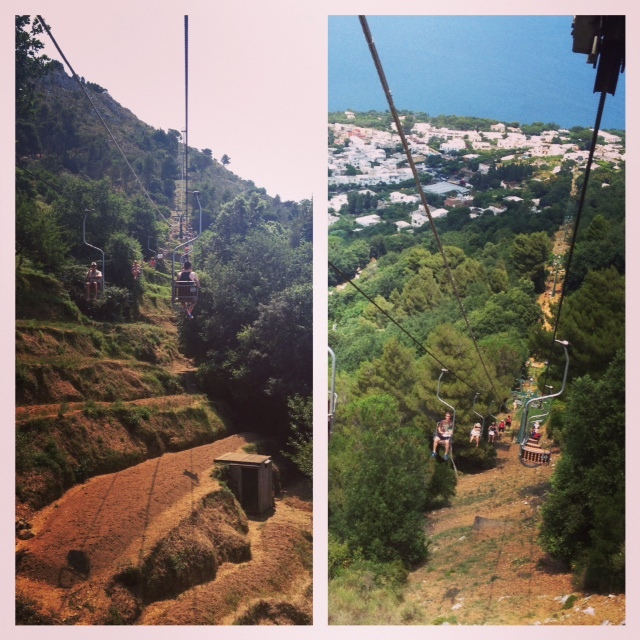 I don't like heights, and could have done without this portion - but we took the chair lift to the very top of the island. 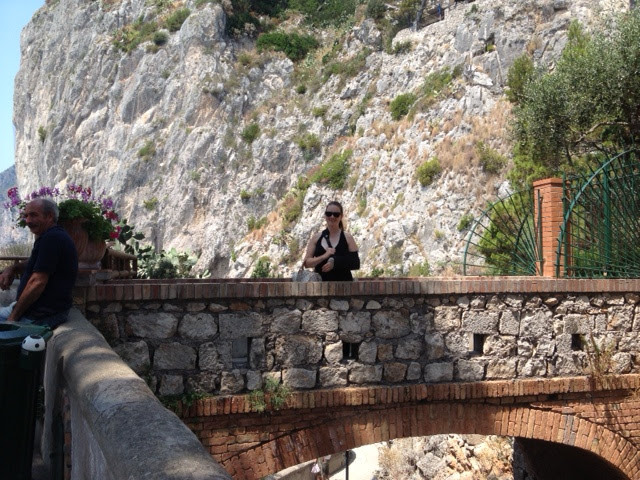 This also led to some stellar views.